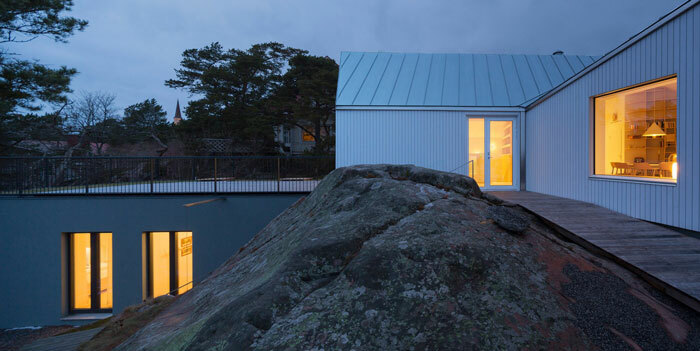 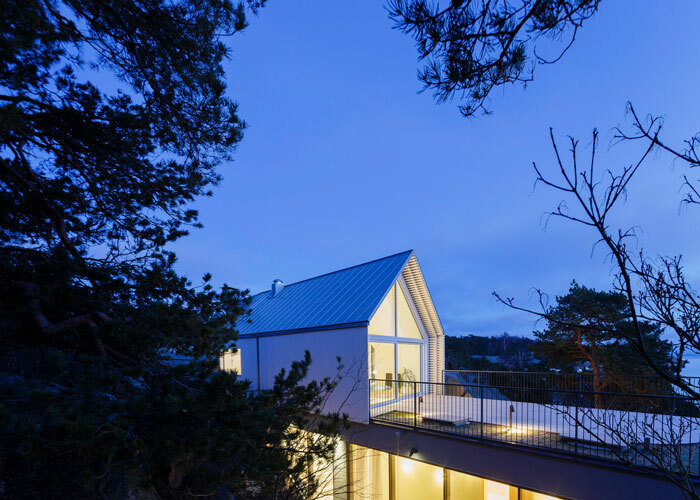 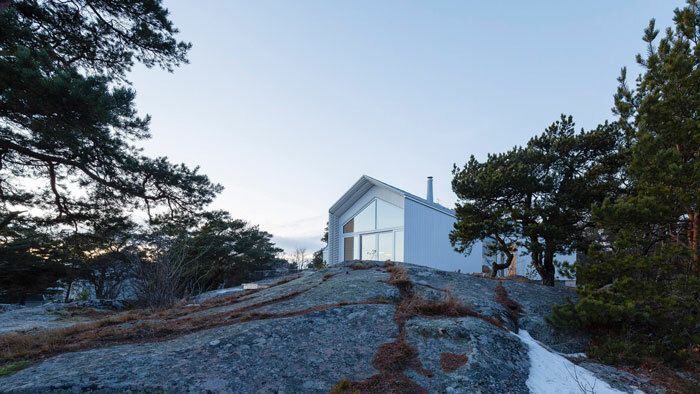 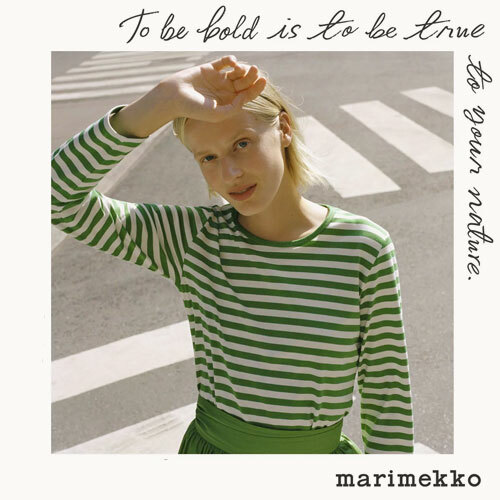 Helsinki-based studio Mer Arkkitehdit made the most of the rocky terrain with this spruce-clad home located in the seaside town of Hanko in Finland. 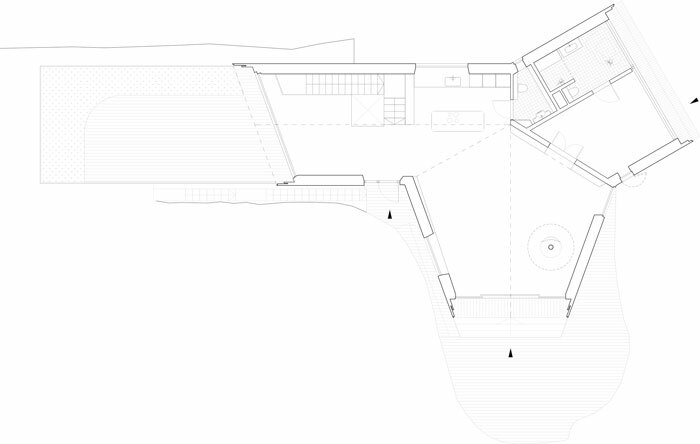 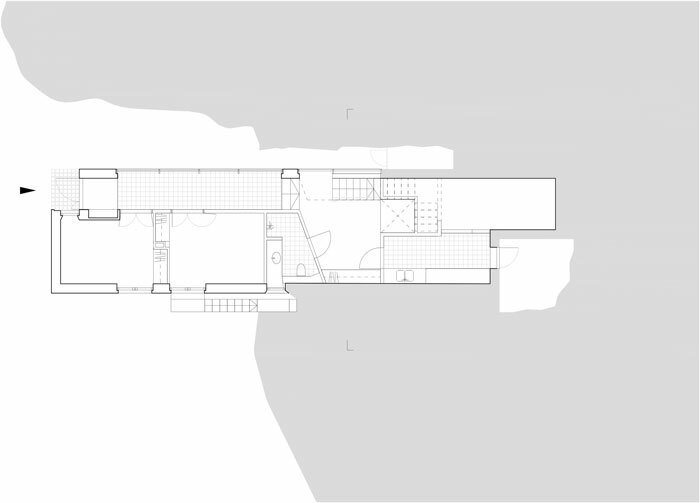 While the main floor sits atop the cliff, the basement level is integrated into the bedrock. 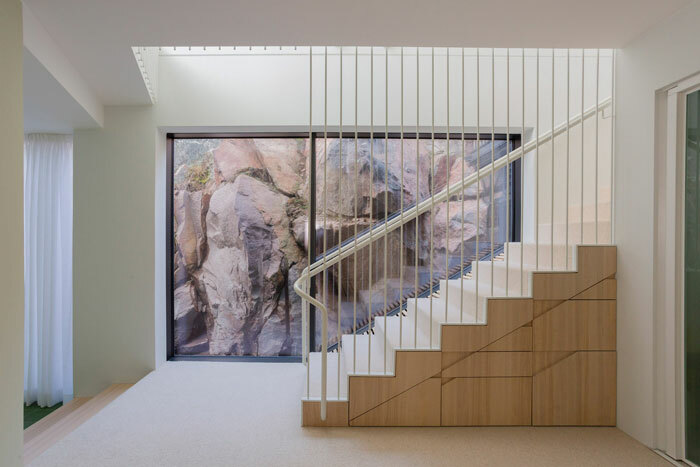 It literally is – The wine cellar is built straight into it, and large windows frame the stone facade like a piece of art. 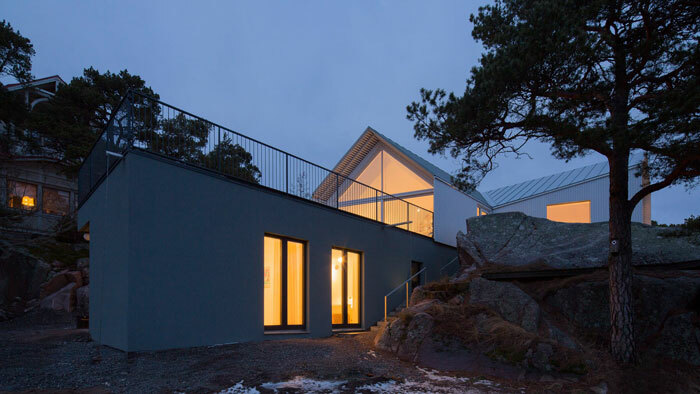 The 200m2 contemporary villa, built for an elderly couple, has a functional layout and provides great views over the Baltic Sea. 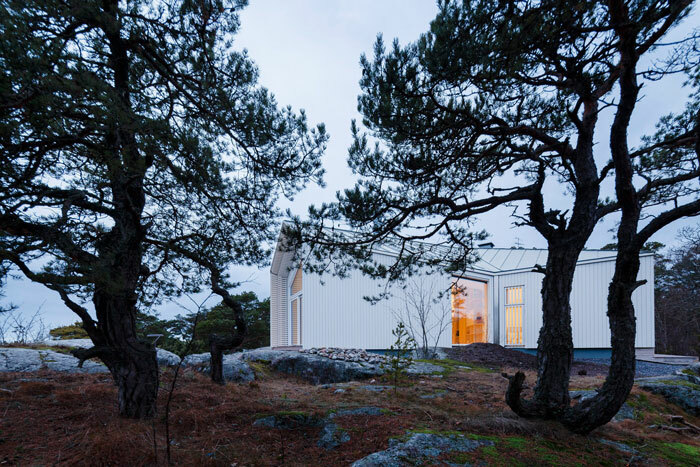 The exterior’s palette blends beautifully with the coastal landscape. 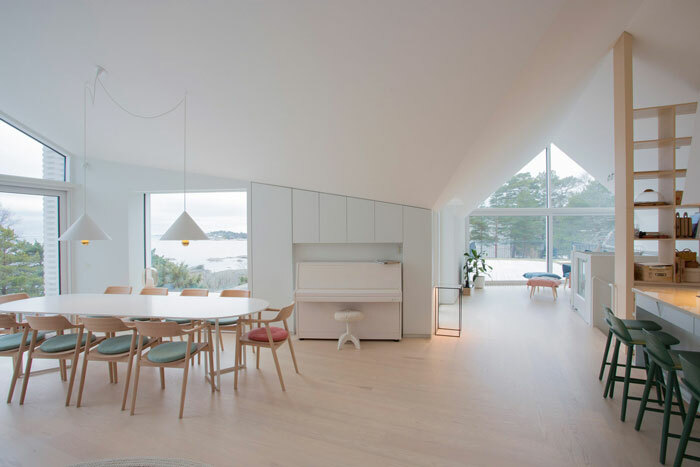 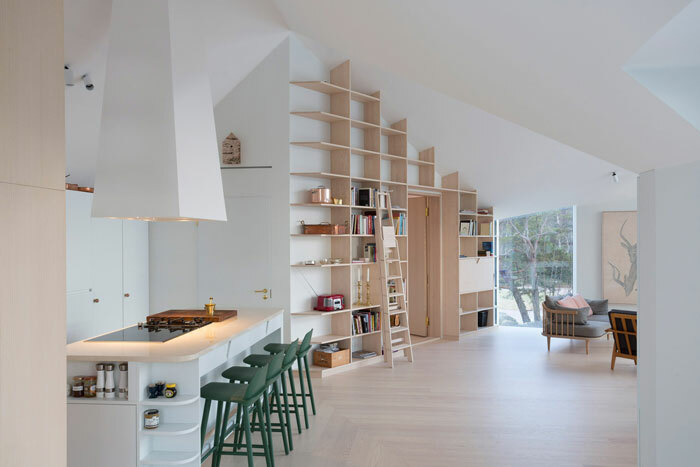 The white and wooden interior is luminous, and it is stylishly furnished. 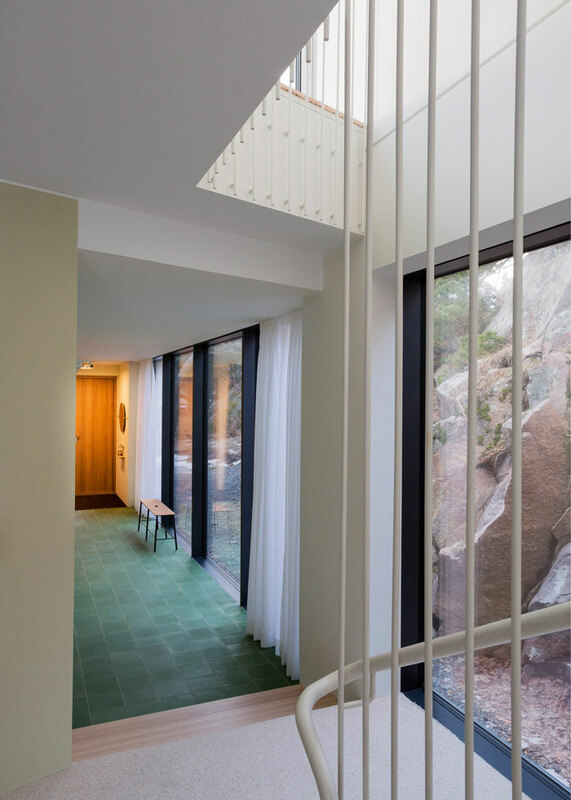 We’re loving the gorgeous tiles in the entrance that echo the surrounding pine forest. 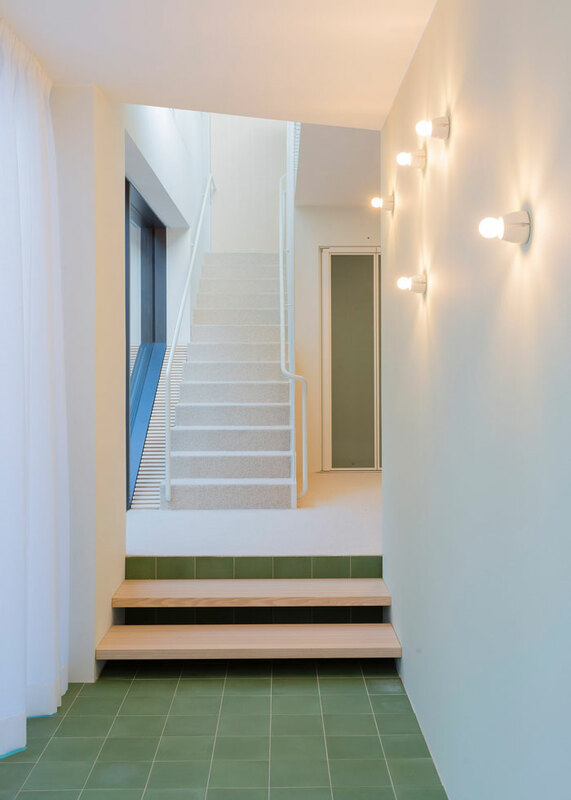 The green Muuto stools, along with other colourful home furnishings, add a nice, cheerful touch.